Social media is one of the best ways to get the most out of your prospecting efforts. Though there are some common themes throughout each platform, it’s important to know what to emphasize on each social media app. Check out these tips to maximize your production on each social media outlet. Connecting with prospects on Facebook is a great way to build a relationship with a new prospect. In fact, there’s evidence to back up Facebook as the best option for keeping in touch with a lead. 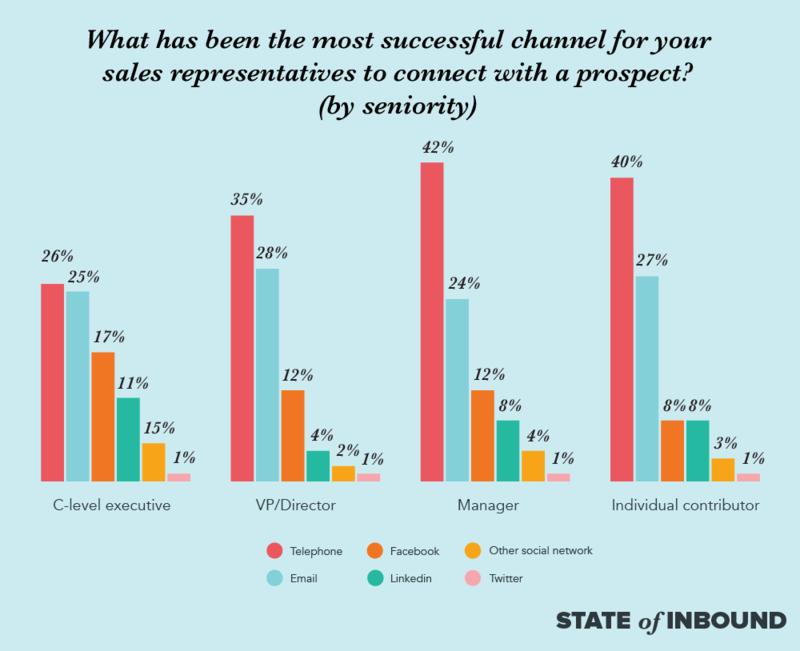 A 2017 study indicated that Facebook is the third most successful way for sales reps to connect with a prospect, just behind phone calls and emails. By using Facebook, you have the ability to interact with prospects during their usual social activity. Interacting on Facebook is casual, but avoid being overly casual in your interactions. Avoid sending overly informal messages and always be mindful of the time of day. Even the most interested of prospects don’t want to be contacted while out to dinner with their family. Use Facebook to let them know you’re a person, too, while maintaining a professional image. Already established as a place for business and social media to collide and flourish, LinkedIn offers great possibilities for you to get the most out of each prospect. First of all, never miss a chance to connect with someone who you’ve recently met or interacted with. No matter how minor the interaction, branching out your connections beyond friends and family is going to bolster your LinkedIn presence. Using InMail, LinkedIn’s direct internal mail system, will give you an opportunity to connect directly. Perhaps LinkedIn’s most valuable asset is the amount of info you can view about your prospect just by looking at their profile. Take a look at their strengths and what types of people and companies they interact with on LinkedIn to get a better idea of who they are. Although it doesn’t tend to stand out as the best way to do your prospecting, there is still room to connect with new leads via Twitter. By monitoring who is following you, but more importantly who is following your competition, you can get an idea of what your target group should be. Twitter will do some of the work for you by suggesting certain accounts to follow, but if you want to be truly rewarded you’ll have to go and hand pick who to follow on your own. Twitter also offers great search tools to help you find different conversations. Just simply search a potential question or inquiry you’re able to answer and, in seconds, you can start interacting with people who need your help. Again, not known for its prospecting capabilities, but with over 1 billion monthly active users, Instagram is certainly a good place to connect with people. Instagram is a platform designed for photos and videos, not especially for long, explanatory posts. As with Twitter, the best way to engage with prospects is to use your competition to find out who to target and what to post. Will your target market respond to motivational quotes and behind the scenes footage of your daily practice? What kind of hashtags do the best in your world? How can you utilize Instagram Stories to tell the story of your brand? These are the most important questions to consider when leveraging your Instagram presence as a prospecting tool. Now that you know the nature of each of these apps, use each of them properly to build a foundation and flourish.